When I think about it, I really do use a lot of products in the mornings. All my make-up, hair products, skincare, and the general lotions and potions need to be in one place. 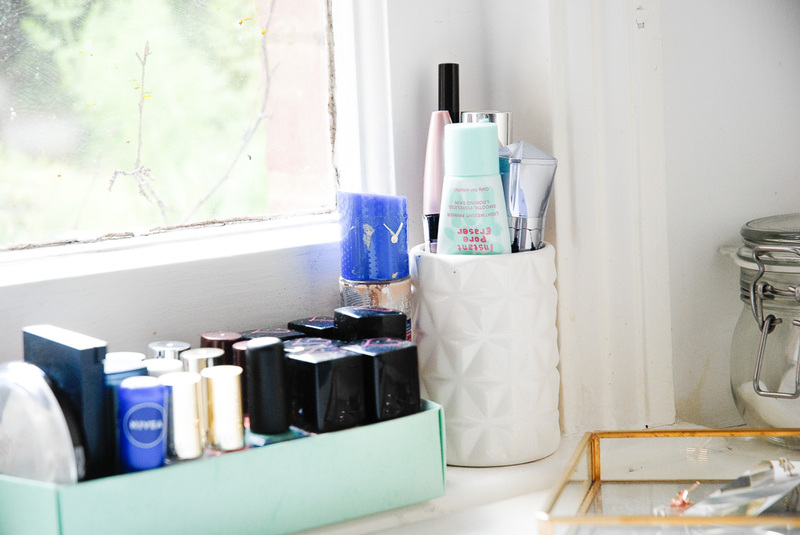 I recently switched up the look of my dressing table, mainly to save myself from the messiness of it, but also because it's so nice to have an area of your home looking gorgeous. One of my fave bits of the dressing table is the little cluster of perfumes. 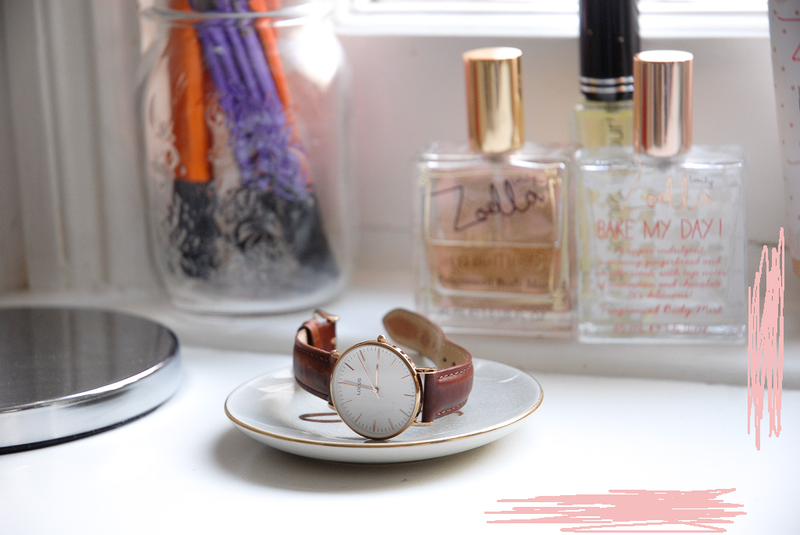 Honestly speaking, I don't use the Zoella perfumes, I don't tend to wear any perfume, I'm very much a hater. Though there's no arguing in the fact that they are bloody gorgeous, so why not display them? On the topic of being a hater, I also don't like make-up all that much (I know, sorry!) 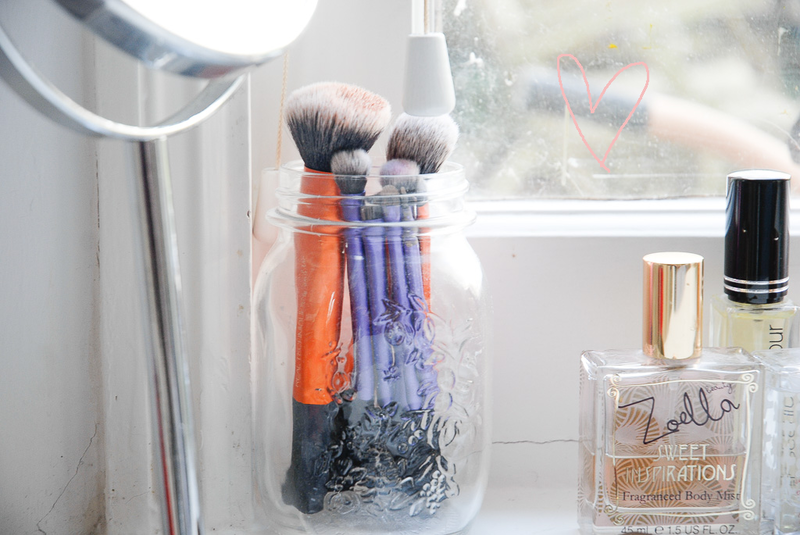 though I sometimes feel v naked without it and when I'm breaking out I will turn to a foundation for a lil' bit of help. So, I have a little pot with some cream highlighters, a pore cream and my mascara. And also a box with all the nail polish and lip balms you could ever want, because who doesn't love a fancy set of nails? Trinket dishes always have been and always will be a love of mine, if I weren't to have any I don't know what I'd do, I probs wouldn't have any jewellery at all because it would all be lost! 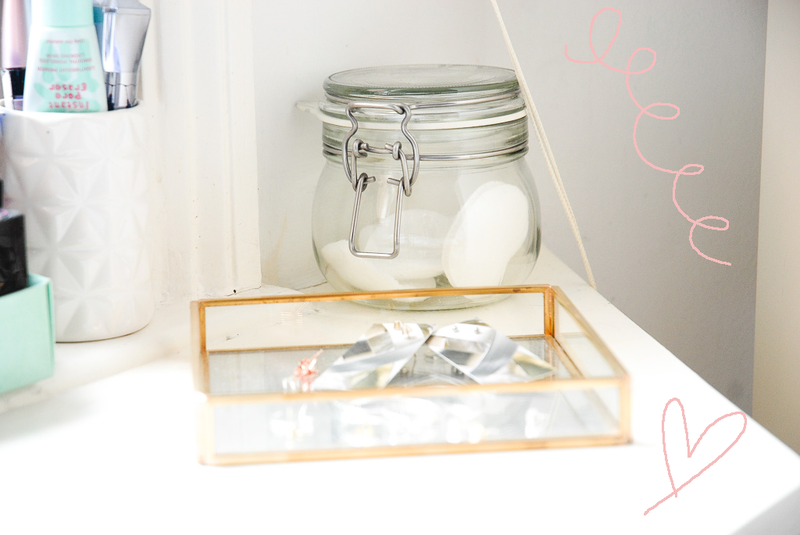 So, I love to keep my Oliver bonas jewellery holders on my dressing table too!